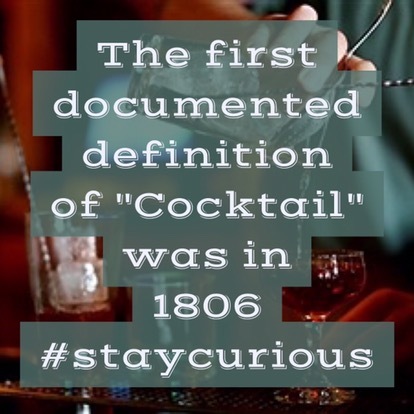 The first documented definition of the word "cocktail" was in response to a reader's letter asking to define the word in the May 6, 1806, issue of The Balance and Columbian Repository in Hudson, New York. In the May 13, 1806, issue, the paper's editor wrote that it was a potent concoction of spirits, bitters, water, and sugar; it was also referred to at the time as a bittered sling. J.E. Alexander describes the cocktail similarly in 1833, as he encountered it in New York City, as being rum, gin, or brandy, significant water, bitters, and sugar, though he includes a nutmeg garnish as well. Don't forget to check out our Kickstarter Campaign! If you love Curionic pledge what you can! Even a dollar and a share helps! There are "Baby Carrots" and "Baby-cut Carrots"